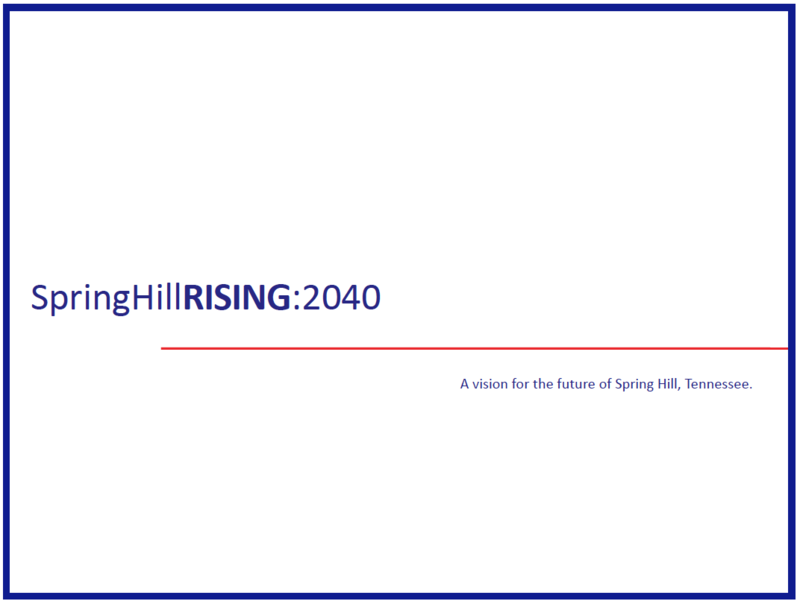 As part of the ongoing process of updating the City of Spring Hill’s Comprehensive Plan, the Board of Mayor and Aldermen next month will offer another chance to learn more about the new “Spring Hill Rising” 2040 Comprehensive Plan at a special called meeting at 6 p.m. Tuesday, Nov. 3 at City Hall. It’s our city’s most important plan because it serves as a vision and a guide for how our city should grow and develop over the next 25 years. Please join us at this meeting to hear more about the plan and offer your comments on it.